Nervous System Facts explain the importance of nerve cell to coordinate the action not only on human being but also animals. Both human and animal are equipped with nervous system. The system is operated by during the control and sensory apparatus to coordinate the network of nerve cells in each part of the body. Not many people know that nervous system is divided in two parts. Both are the peripheral nervous system and central nervous system. Central nervous system comes in three elements. Those include the spinal cord, retina and brain. Signal is received by the body to operate well. There are many ways that a cell can use to transmit the signal to other cells in the body. The structural and metabolic support is tackled by glial cells. 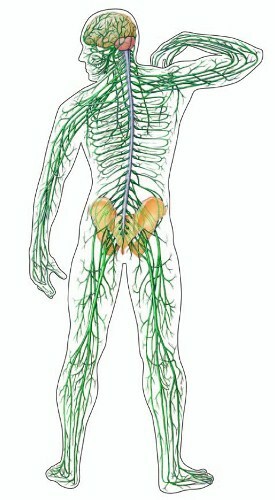 It is part of nervous system which is responsible to support the system. People or animal can suffer from the malfunction of nervous system due to several reasons such as the infection, aging, genetic defect, and physical damage. The nervous system in human body is very important to support the five senses of human being which includes heating, smelling, sighting, touching and testing. 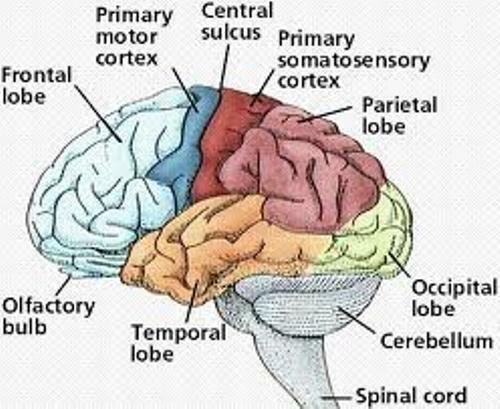 The human brain is considered as center of the nervous system. It has 100 billion neurons on the human brain. The left side for your human body is controlled by the right brain, while the right body is controlled by the left brain. It has the weight around 3 lbs. Men and women have different length of spinal cord. Women has short spinal cord at 16.9 inches. Men have 17.7 inches. 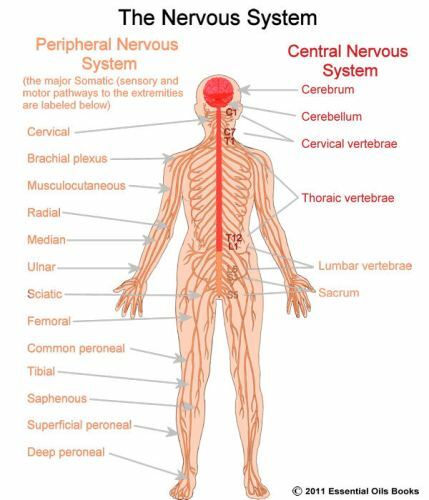 There are categories of cell included in the nervous system. Both are the glial cell and neurons. The electrical waves will be travelled to other cells when neurons transmit signal to other cells in the body. 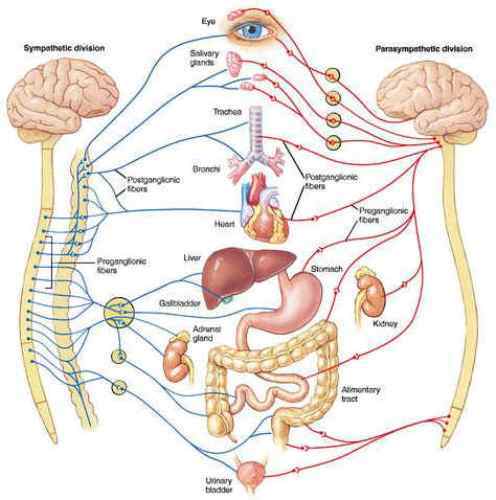 The connection between central nervous system and peripheral system is the responsibility of ganglia. If you want to make sure that your nervous system can work well, you need to perform a healthy lifestyle. 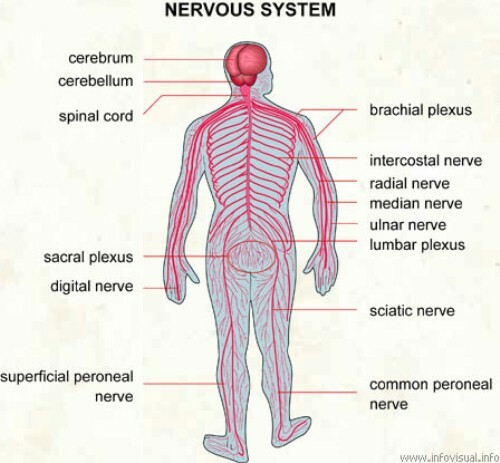 Do you have any more facts about nervous system to add here?